Mike Schmidt has been with the firm since 1995 and brings a tremendous wealth of experience in conducting studies, capital campaigns, major gift program development, strategic planning and volunteer management. Mike has a unique ability to creatively examine an organization’s opportunities and challenges to develop a long-range plan of action. Mike has made education and life-long learning a cornerstone of his fundraising career. 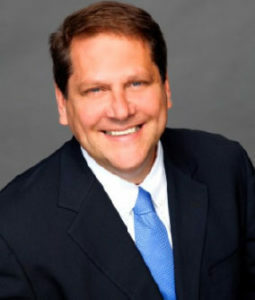 He has conducted studies, campaigns and strategic plans for many educational clients, including Columbus State Community College, Lorain County Community College, CCAD, Grosse Pointe Academy, and Sinclair Community College. Worked with The Fisher College of Business at The Ohio State University to develop a comprehensive moves management program for the implementation of their $125 million But For Ohio State campaign. Served as the lead on The Childhood League Center’s $11+ million comprehensive campaign. Implemented the creation of the development office for the Pro Football Hall of Fame and created the platform for its $25 million capital and endowment campaign to fund its education programs, artifact restoration and facility expansions.